No registration required. Snacks provided. All ages welcome as long as they can sit quietly. Click here to access our 1000 Books Before Kindergarten page! Need help finding books that will engage your child after you register them for our 1000 Books Before Kindergarten program? Check out Beanstack, a free service that sends you reading recommendations based off of your child's favorite subjects and interests! 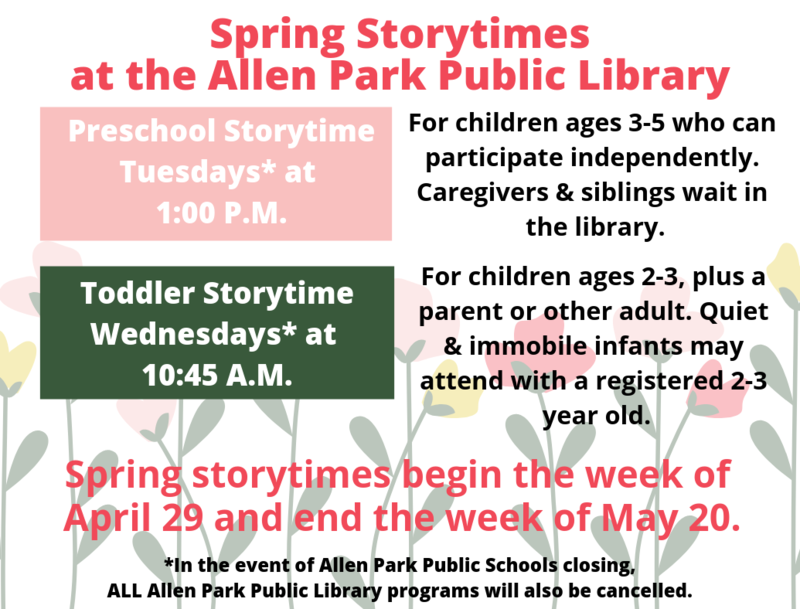 Go to allenparklibrary.beanstack.org to register!